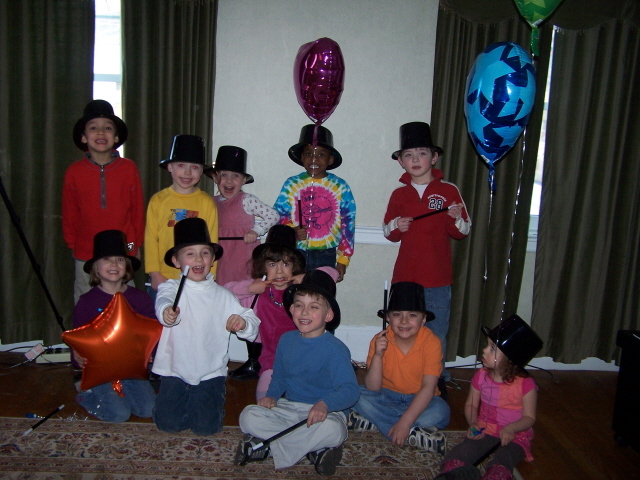 "Make Your Child's Next Birthday Party a Huge Success. One That Will Be Talked About By All Who Attend. One That Will Quite Possibly Be The Best Ever!" Above: Birthday Party Magician Jason Purdy with some excited kids after a stellar birthday party magic show! The laughter along with the magic was welcomed more than you know… and because of your show it was a success. Thanks!" Discover how easy it is to throw a party that will create wonderful memories that'll last a lifetime. Don't risk disappointing you or your child. Click here and fill out the information below and I'll email you complete, no obligation details. P.S. Click here for a "special message" from me! P.P.S. Be sure to check out some of the videos and feedback below! "Jason did such a wonderful job at my daughter's 5th birthday party. The parents and the children were all blown away and truly fascinated. His tricks and illusions were amazing! I was also very impressed that 18 children sat in my living room and didn't move for close to an hour because they were so captivated. Her party was a huge hit. We all had so much fun. Thank you Jason!" "I had to email you and let you know that today was wonderful. Payne and all his friends had such a great time and what parents stayed did as well. My family absolutely loved you and thought you did such a great job with the kids. Payne hasn't stopped talking about it and he has already got the Chinese finger cuffs stuck on himself. Again thank you so much you did such a wonderful job." "Jason Purdy was wonderful. He was fabulous with the kids and the adults, he was fun, personable and neat. I recommend him highly and should another occasion arise, I would hire him again." "All the kids enjoyed the show and everyone agreed it was the highlight of the party. I was just blown away by the close-up tricks. You amaze me!" "Thank you so much... I just wanted to tell you that I really enjoyed it, and everybody that came enjoyed it too. You were very professional and we would love to have you again!" 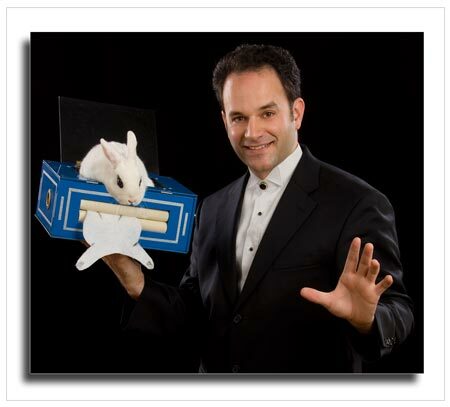 "Morgan and her friends have not stopped talking about the magic show yet! Andrew says he Can't wait until he's 9 so he can have you entertain at his party. I think I'll ask the adults to stay nest time as I thoroughly enjoyed the show as well. Thanks again!" "The show was excellent. Thanks kids enjoyed it & talked about it to all of their parents. Madison was thrilled with your picture... I look "we" look forward to your up & coming fundraiser- Good Luck-"
"You were terrific! Thanks for being part of our day. Everyone came up to us and said how terrific you were." "The show was terrific! Everyone is still talking about it. Thank you, Thank you. It was a pleasure to have you at our home!!" "Everyone loved the show and shared their enthusiasm for a couple of weeks after the show. Your professionalism, humor style and obvious talent created a very delightful evening for us all Thanks again"
"Everyone enjoyed the show...We were very impressed with the show, your professionalism and your ability. We thought you did and excellent job of holding several 6 year olds attention. The audience participation was great!" 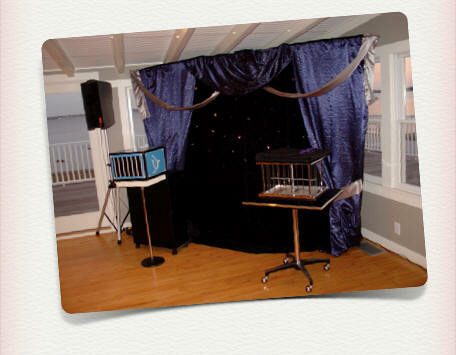 Supercharge Your Child's Next Party with Laughter, Fun, and Entertainment Your Whole Family Will Love!" no-obligation details of what I offer. Enter your information and click "Get Info!" I'll send complete details of what I offer right away! "and" or the "&" sign. Unfortunately, dates are very limited, especially weekends. I'm only able to accept a limited number of invitations a month to entertain at private parties. So please, be sure to contact me A.S.A.P. to reserve your date. If you have any other questions feel free to call 603-352-1080 or email! I'd be happy discuss your needs and concerns. Together, we can create some magical memories, that will last a lifetime! 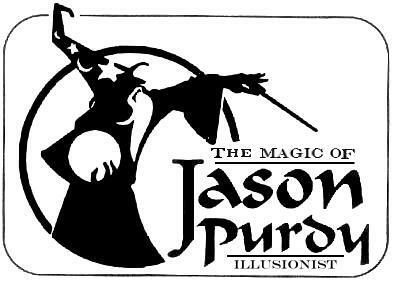 Thanks for stopping by www.jasonpurdy.com !